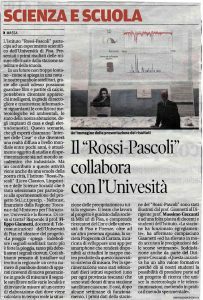 A presentation of the Nefocast project was made by Professor Filippo Giannetti (UNIPI) at the “Rossi-Pascoli” Institute of Massa (Liceo Classico, Linguistico e delle Scienze Sociali), as part of the dissemination activities of the project. 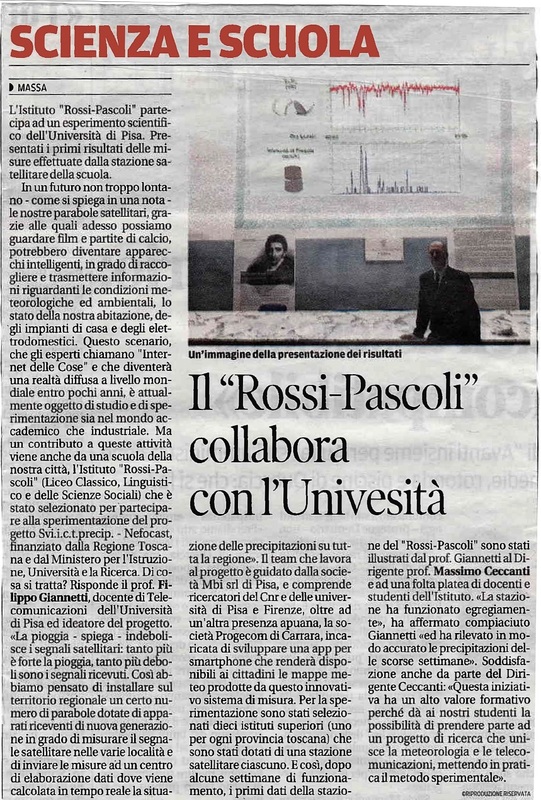 The presentation helped to make students aware of technical-scientific issues and the application of science to the business world and everyday life. The presentation is part of the direct involvement of schools in the activities of experimentation of the integrated system Nefocast, in relation to the extended network outside the Floremce area. The NEFOCAST - SVI.I.C.T.PRECIP. project is financed with funds from the Regional Implementation Program of the Tuscany Region (PAR) co-financed by the FAS (now FSC) and the contribution to the FAR funds made available by the MIUR, with the collaboration of EUTELSAT SA, METEO FRANCE, CITTA' METROPOLITANA of FLORENCE, MUNICIPALITIES of SCANDICCI and IMPRUNETA, CONSORZIO PIANETA GALILEO and many schools in Tuscany.